Giant Octopus Skimmer– SOS Safety International Inc. The GIANT OCTOPUS skimmer from DESMI is the latest skimmer in our range and features a revolutionary new collection method plus 360 degree access to the collection surfaces. This skimmer is a combination and development from our popular TARANTULA and HELIX skimmers and has benefited from a continuing development program over nearly 25 years. The resulting skimmer is our most powerful to date. It features a unique collection system of 15 belt/brushes in 3 modules of 5. These allow the skimmer a 360 degree oil recovery range and the maximum possible collection surface area. 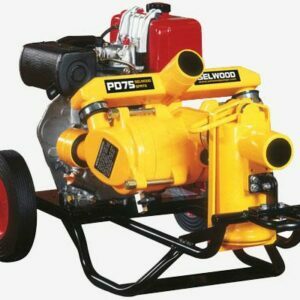 The skimmer features 2 powerful DOP-250 DUAL pumps, located in the horizontal position, which allow a maximum pumping capacity of 250m3 per hour and can develop discharge pressures up to 10 bar while maintaining nearly maximum flow. 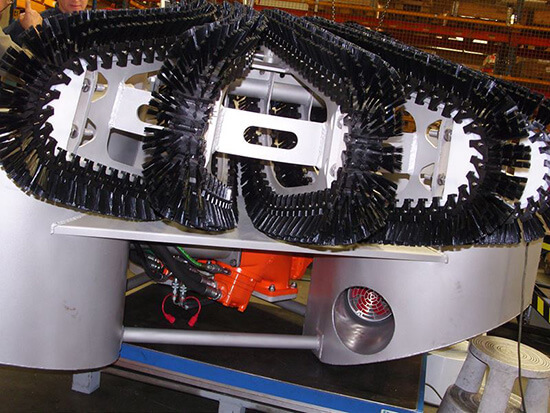 The GIANT OCTOPUS offers high capacity skimming for offshore applications and features well proven components for peace of mind usage and is more than ready for the toughest applications. 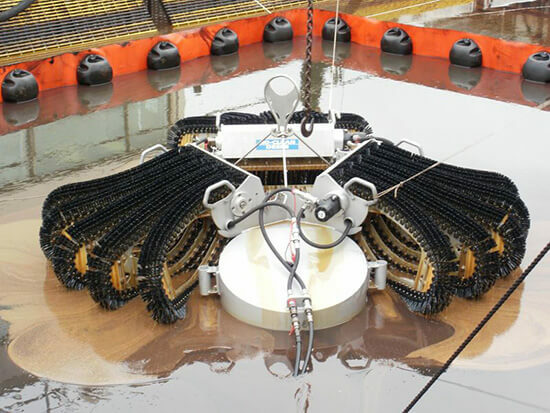 The Giant Octopus is the world’s most advanced offshore skimmer system featuring the newest brush technology developed after more that 30 years of experience; Ohmsett independent testing and operations in actual oil spills. 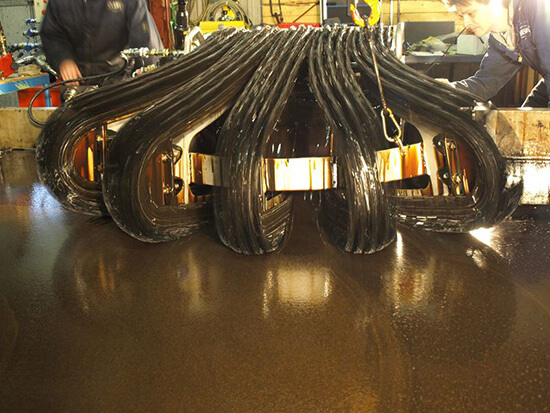 The Giant Octopus is the first of its type combining high recovery and efficiency rates in all types of oil, making it a truly multipurpose system. 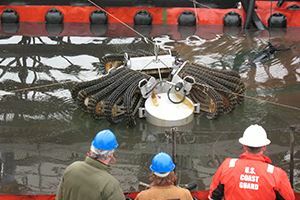 Common to all three systems is the Giant Octopus Skimmer Head, the world’s most advanced recovery device. It consists of three, splayed brush rail banks which are designed in such a way that the skimmer has a full 360 degree encounter with the oil. These brush rails also extend out well beyond the central buoyancy chamber of the unit allowing free and uninterrupted access to the oil. Each brush rail has its own, independent hydraulic motor which ensures total control and operational reliability. The brush rails work in a patented ellipse and extended arc. Each of these brush rail banks is hinged that not only swing up for easy storage but allows the skimmer to also operate in icy conditions. 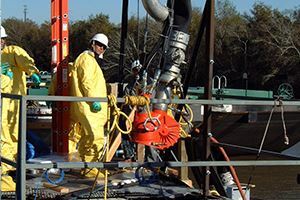 Other benefits of the brush rail system include the acceleration, trapping and pumping effect of the containment as it approaches the parallel sections of the bank. 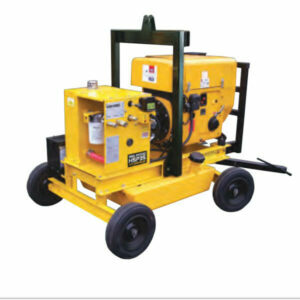 This further enhances the skimmers capability to collect a very wide range of oil from the light to heavy hydrocarbons. The external ‘bump’ bars are designed for the inevitable contact with ships side or deployment dock during deployment and recovery.